Goldrich Kest has promoted a longtime executive to lead the company, after a year in which the Culver City developer made a string of multifamily buys in the area. The firm promoted Mike Drandell, its chief operating officer, to CEO in January. He’s worked for Goldrich Kest since 1995, when he took a position as Controller. During his 24 years there he’s also held the position of Vice President and Chief Financial Officer. Goldrich Kest, which has around 600 employees, owns about 120 apartment complexes and 55 commercial and retail properties around the country, mostly in California. Its multifamily portfolio totals around 13,000 units. It owns three marinas and associated apartment complexes in Marina del Rey. It also owns some senior living communities and industrial properties. In July it offloaded a South Bay industrial property for around $21 million. 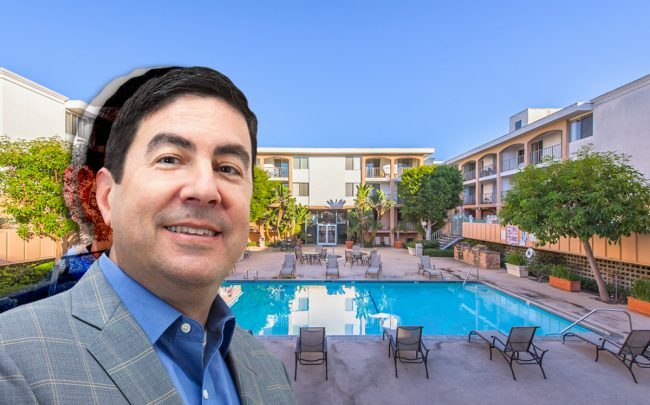 The firm has made a series of multifamily acquisitions in L.A. over the last year or so, spending about $121 million on properties in West Covina, West Hollywood, and Hollywood. Goldrich Kest was founded in 1957 by its namesakes Jona Goldrich and Sol Kest, who died in 2016 and 2010, respectively. Members of their families continue to be involved with the firm.